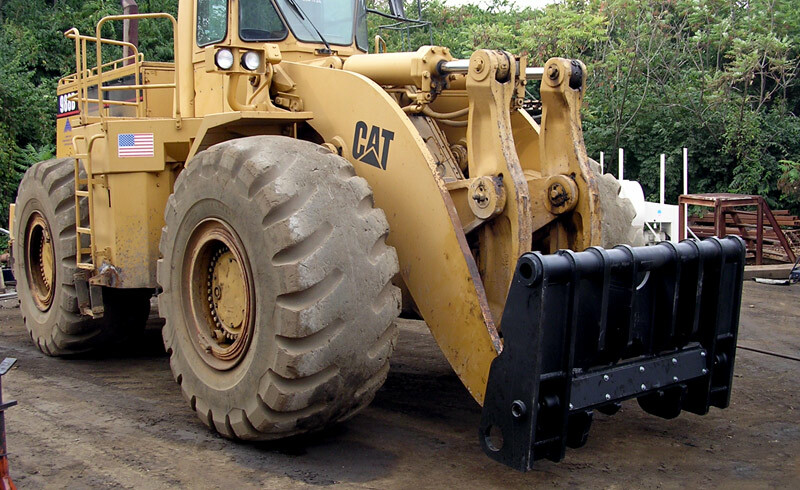 Products: Wide stance 16′ SAS FORKS™ and also installed a SAS™ QUICK COUPLER SYSTEM for this Cat wheel loader. Machine: 3 yard Caterpillar wheel loader. Capacity: 12,000 LBS @ 5′ Load Center. Benefits: The SAS QUICK COUPLER SYSTEM™ enables the operator to switch between the SAS FORKS™ and the bucket in a minute without the operator leaving the cab of the loader.